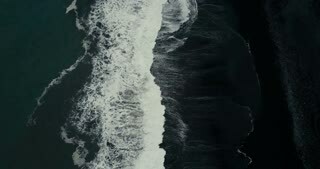 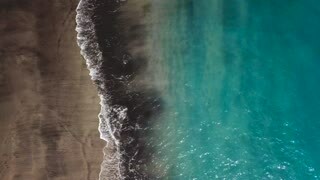 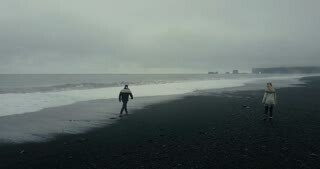 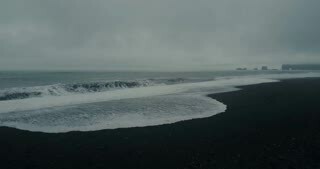 Aerial view of the beautiful black volcanic beach in Iceland. 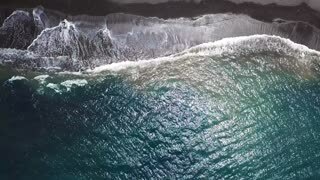 Wild waves with foam coming on the shore in overcast day. 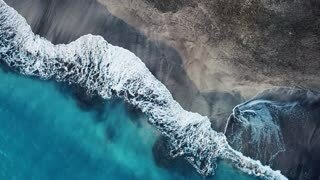 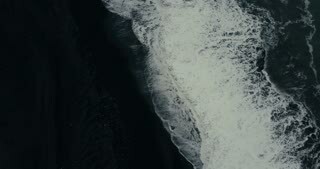 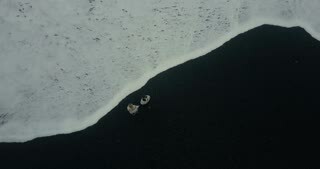 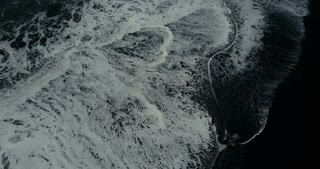 Aerial view of the wild wave with foam coming on the shore of black volcanic beach in Iceland. 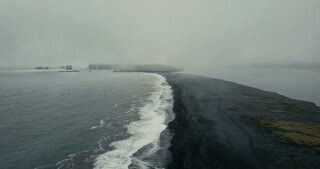 Aerial view of the black volcanic beach in Iceland. 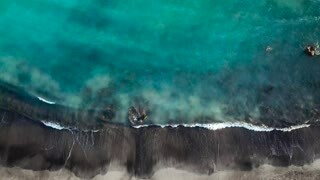 Copter flying over the beautiful shore of the sea with waves.